Betboro is a relatively new and young company operating mainly in Europe. The company is very ambitious and tries to deliver the best quality at a reasonable price. To achieve that, the owners of the online bookie gather together an international management team which to deliver the results they expect. The license of the company is from Curacao because this is where Web Media Development N.V is with registration. This is how the work of the enterprise is also under regulation. Web media, however, or the mother company has an address in Germany Berlin. While it’s short lifespan, the company generates significant client base. The reason is the team behind which is international and has many years of combined experience. On the other hand, the investments in the online platform which should generate most of the income of the company is very well written and very informative. Regarding design, the website is very user-friendly and simple. Thanks to that type of orientation to the clients and it needs the popularity among players is dramatically rising. The countries which the bookie cannot cover are USA, France, China and Greece. Being ambitious and with a solid background of many years in the industry, the management of Betboro decides that the only way to attract more clients and to compete against the big names is by providing people with options. The options include sports, odds, methods to deposit and make bets. The online bookie receives bets for over 45 different sports including soccer, basketball, and volleyball. Every client can bet on virtual games too, so even the last and most modern ways to make bets are with a cover. For the full list of sports which the company covers, please check the table. Aside from the sports betting the online bookie has casino games and poker in the portfolio. Every player who wants to bet on additionally can do it easily. Unfortunately live streaming is not available on the website of the bookie, but the management of the company decide to compensate for that by adding live coverage of the games. It not only displays the current situation in the event but a simplified graphic explains the exact order and details of the action on the field. Thanks to such innovations live betting is easier and making decisions is less risky as the gambler have more information. Another great feature is the statics for the game which gives a bird’s eye view of the event. With a goal set to become one of the big names in the gambling industry, the online bookie Betboro offers the most popular and well known high odds. Some of them are 1×2, double chance, draw no bet, Asian handicap, correct score and a total number of goals. Like many other companies, the gamblers can bet on fix odds which give the relatively small return but more security and less risk, which for many players is the very significant advantage as it reduces the chances to make a lose. This type of control is important as gambling for many people is a hobby which should deliver more pleasure and less loss. Regarding safety, the company does not use SSL encryption and says that according to the terms and conditions which every client agrees with, they may give the data collected for the customer to third parties. This transfer, however, can only happen in a few very particular cases. There are a bunch of ways to contact the company. Some of these ways are by phone, live chat, email. Six different languages are available which means clients from around the world can bet easy. The languages are English, Spanish, Portuguese, Turkish, German and Persian or Iranian. 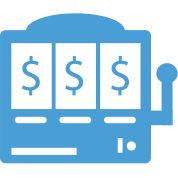 The bookie takes advantages of the most popular and easy to use payment methods. To make a deposit, every client can choose from different ways to do that. Every single method has different pros and cons when compared to the other and picking between them is more of personal point of view and preference instead of anything else. Some of the options are credit card and skrill. For a full list of payment options, please check the table. Something common between all these options is the current duration, the minimum amount of 10 and the lack of fees. Only three currencies are in support by the company – EUR, CHF, and GBP. The bookie has several bonus schemes available for the clients. A welcome bonus which goes up to 50% of the first deposit or up to 100 Eur. Different seasonal bonuses are often presented like for example the Christmas gift which was off up to 50 Eur. A rake race is another bonus game which gives up to 1000c each month. The casino cashback also benefits the clients. Anyone who loses 2.5c is enrolled in the promotion. The amount of money which the casino is giving back is up to 10% of the lost money or in the case of live casino up to 5%. 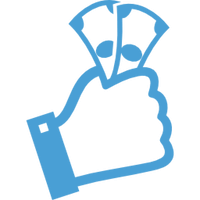 The cashout promotions allow the gamers to take their money at any given moment which increases the chances of winning.